Improve the security of your property with uPVC windows that are built to last. W. J. Richardson Glazing Ltd offers customers in Orpington, Kent, a wide variety of double-glazed windows. Supplied and fitted by us, the windows are designed with a number of high-security features, protecting your valuables and giving you peace of mind. Made by Profile 22™, a manufacturer with an enviable reputation in the trade, our uPVC windows meet the highest standards. They conform to all of the relevant British Standards, are produced under an IS) 9001 quality management scheme, and meet the requirements of ACPO’s Secured by Design scheme. What’s more, our house windows achieve an A+ WER rating, which gives them a 0.8 U Value. 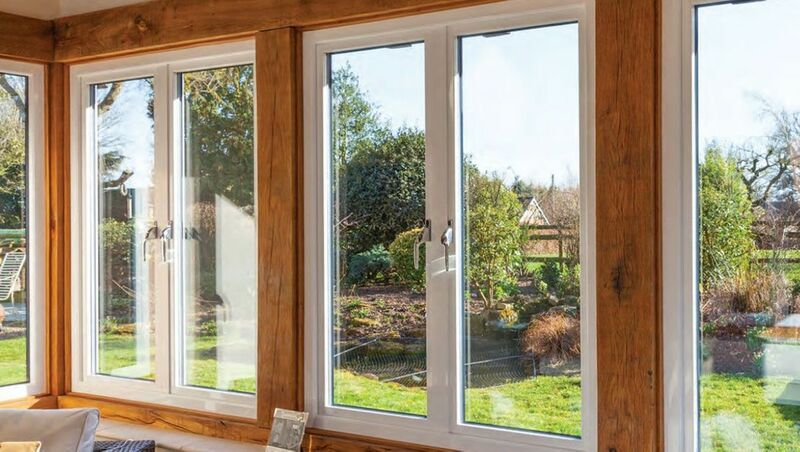 When you choose our bay windows, you can rest assured that they are made with Profile 22 tried-and-tested bay components that are unique to their systems. Beaded for security, our uPVC windows are designed to be extremely thermally efficient. They are fitted with standard double glazing, which consists of one pane of 4mm clear, toughened glass; one pane of 4mm soft coat, low-E, toughened glass; and 20mm black Warm Edge Swisspacer V.
At W. J. Richardson Glazing Ltd, we work with a manufacturer that has many years’ experience in uPVC profile bending. By utilising this expertise, we are able to offer our customers bespoke windows that are produced in line with your specific requirements. Contact us now, in Orpington, Kent, to obtain more information about our double-glazed uPVC windows.